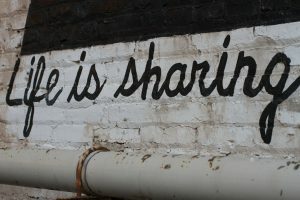 Organizing creative ways for people to share resources with each other (food, tools, books, etc). There is plenty to go around if we all work together. A Successful March Share Fair! 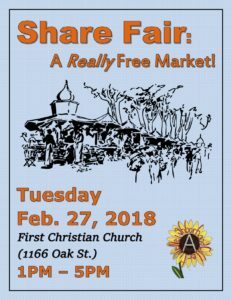 Share Fair: A Really Free Market!